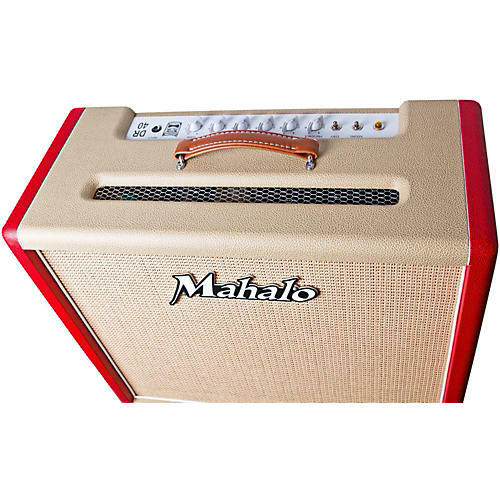 The Mahalo DR40 features big American tones through a 15 speaker. A pair of EL34 power tubes deliver great clean and gain tones and 35-40 watts of power. The 12AX7 preamp tubes stay clean while the power tubes provide the breakup when spanked. The DR series turns on a dime; cleaning up with a quick turn of the guitar volume knob. The circuit is designed to maximize the power from the EL34 tubes to deliver great crunch when you need it and the 15 speaker delivers the bottom end while retaining note definition.